The lures there are many different modifications according to sizes, colors, shapes, manufacturing techniques and Tipova buoyancy. Wobbler is a genuine copy of the variety of fish that can inhabit the waters and are subject to hunting predators such as roach, bream, bleak, etc. It is important to note that the weight and size of the lure to affect the object of fishing. You need to consider the area where you will use certain of the crank, as is the surface of the crank where the depth 0.10 - 0.50 cm, such wobblers are usually used in shallow waters and abunimah. Typically these baits the size of not exceed 90 mm - 110 mm. If catch from the boat or in the deeper areas, it makes sense to use lures that have a depth from 1.2 m to 2.5 m. Thus, you will have the maximum chance to “raise” the predator from the bottom and provoke a strike. Deep crankbaits are typically sized from 76 mm to 130 mm and, usually, that is enough. Its technical characteristics are wobblers are very different. There are lures of conventional type, where inside there are several loads that affect the deep and the play of the lure. In many modern cranks, there is a system long cast, this means that when you throw (in air) weights inside the lure to move in the direction of casting, thus the lure flies away and gently touches the water. This ensures a long and accurate cast, which is an important moment in fishing. Recently become very popular composite lures. These baits consist of several parts, very often it is two or three parts. Many such lures is also interesting, because the “game” of bait is a little different, which is why many anglers in your box have a variety of lures. Besides composite, are popular bezopasnye and trolling crankbaits. These baits usually catch from the boat or at great depths. Most often the object of fishing with such bait is catfish and perch. Penetration data of wobblers usually up to 7 meters. There are “poppers” and “the walkers” is a surface lure that is practically not zaglubljajutsja. They mimic the feeding of fry, either floating on the surface. such baits work well in the shallows or abunimah. 2. Silicone bait, or Philistine names: silicone, rubber. Soft lures are made from various materials. Lures made of rubber are even edible. The composition of such lures typically include a variety of “attractants”, flavors and additives. 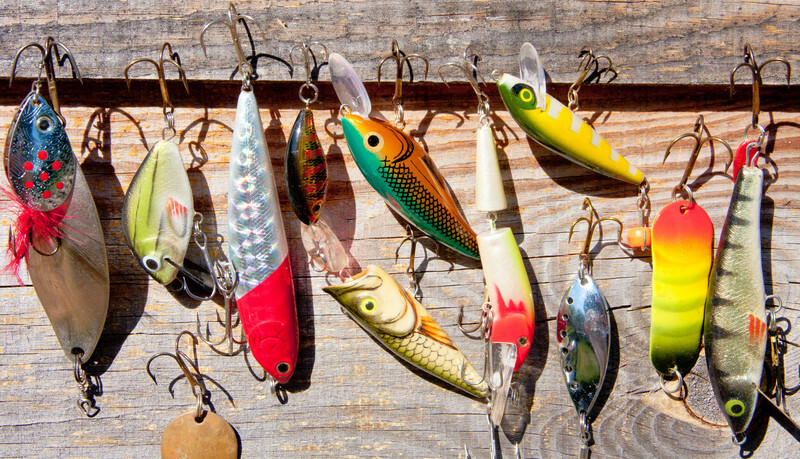 This type of lures in different colors, sizes, shapes, the game and the type of buoyancy. Usually the installation of such lures is either on a jig head or on an offset hook. Weights and dimensions hooks are selected individually based on type of bait, rod, reel, fishing conditions (waters). Silicone lure is often used when fishing from a boat or from the shore. The main purpose of these lures to sh in great depths, pits, drop offs. Usually where to get a crank - you can get silicone lures. This is especially true of pike, when it is closer to November, it goes into greater depth. It requires tackle with a good weight to lift predator. 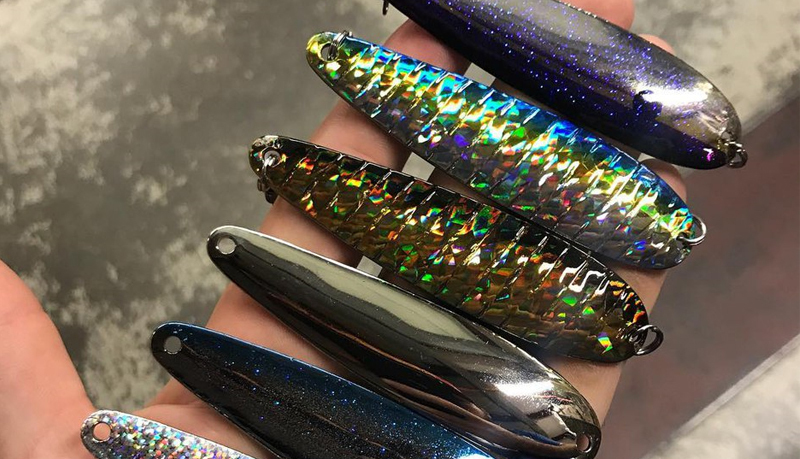 Many anglers familiar with these lures. These baits successfully exploit any of the waters and attract many predators. Baubles are made in different sizes and shapes. Popular shades among spinners is silver, bronze and gold. Usually the weight of the lures starts from 10 - 12 grams and ends about 40 grams. The main forms of lures that “atom” and “kastmaster”. It's all kinds of copies on the famous spinner, who to this day can work wonders. With the advent of fashion on a trout fishing appeared microclimate and the spoon size is smaller, about 3 to 4 cm and weighing up to 5 - 6 grams. Most often it is 2.3 grams and 3.6 grams. 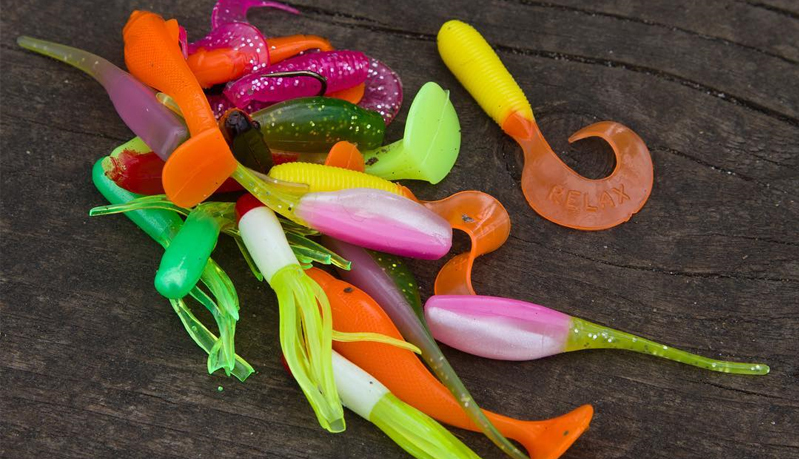 Don't forget about rotating the spinners, which are also classic fishing lures. Many novice anglers begin their experience with them. Like previous representatives, rotating blesna also vary in sizes, shapes, colors and weight. Every year the fishing methods are increasing, and the variety and selection of lures is increasing. It is certainly positive factor that makes the world of fishing all the more interesting and exciting!